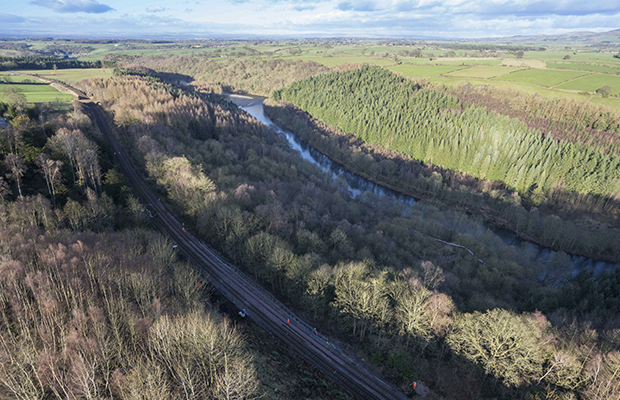 Works have started on a £23m repair plan for the Carlisle to Settle railway line, which is expected to be complete in March 2017, after a 500,000 tonne landslip closed the railway back in February. Story Contracting are constructing a reinforced concrete slab and retaining structure supported on concrete piles anchored into the rock profile that will sit beneath the railway, 70 meters above the River Eden, providing a stable base across the damaged and unstable ground. 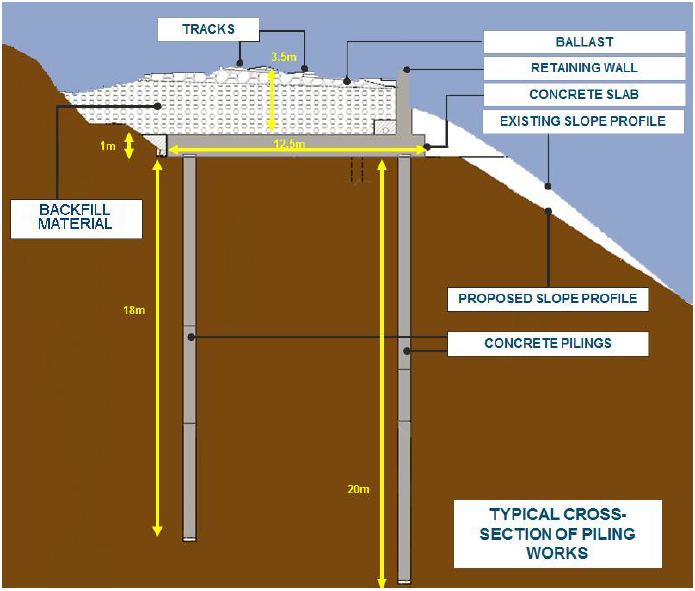 Two rows of high-strength piles (steel tubes filled with concrete) will then be driven into the sloping bedrock of the Eden gorge, north of Armathwaite. The hundreds of piles will form a corridor, set into the hillside, on which a 1.5 metre thick, 100 metre long concrete slab will then be placed. This slab will form a solid base for the train tracks. Story Contracting and Network Rail have collaboratively picked this solution from six potential options, each which has been robustly worked up. In addition to the solid structure being built beneath the railway, an extensive earthworks project, costing an estimated £5 million, is planned to protect the foot of the bank down to the river. Drainage systems and ‘rock armour’, which helps prevent erosion, followed by tree replanting will stabilise the land. Drilling has already started for the piling operation after access roads and our site compound was installed – where we are proudly displaying our ‘Pride in our Safety & Welfare Standards’ banner following a Project General Inspection audit by the Network Rail Construction and HSQE team.